GO-W (Go! Herbal Stimulant) 4 fl. oz. Bee Pollen Extract 4 fl. oz. Chippewa Pine Extract 4 fl. oz. CURRENTLY UNAVAILABLE Protein Extract 4 fl. oz. Sheep Sorrel Extract 4 fl. oz. Wheat Germ Extract 4 fl. oz. Wild Rose Hips Extract 4 fl. oz. AF-R (Herbal Anti-Flu by Ruben ) 4 fl. oz. AP-W (Anti-Plague) 4 fl. oz. Astragalus Extract 4 fl. oz. CCE-W (Cleansing Corrective Extract) 4 fl. oz. Cedar Berries Extract 4 fl oz. Elderberry Extract 4 fl. oz. Gentian Extract 4 fl. oz. Golden Bough Extract 4 fl. oz. IVY-D (Infection and Viruses by Schwartz and Wickey) 4 fl. oz. IMS-W (Immune System builder) 4 fl. oz. Juniper Berries Extract 4 fl. oz. Korean Ginseng Extract 4 fl. oz. Sutherlandia Extract 4 fl. oz. Sutherlandia Combination 4 fl. oz. Sweet Root Extract 4 fl. oz. Tart Cherries Extract Extract 4 fl. oz. Una De Gato Extract 4 fl. oz. CURRENTLY UNAVAILABLE YTHE-I (Youth Elixir Inman) 4 fl. oz. Ashwagandha Extract 4 fl. oz. Bee Pollen "Special" Extract 4 fl. oz. Brewer's Yeast Extract 4 fl. oz. Chamomile Extract 4 fl. oz. DAN-C (Depression, Anxiety and Nervousness) 4 fl. oz. Dulse Extract 4 fl. oz. E & F-W (Energy and Fitness) 4 fl. oz. Formula Three 4 fl. oz. Hops Extract 4 fl. oz. Kava Kava Comb. Extract 4 fl. oz. Kelp Extract 4 fl. oz. Licorice Root Extract 4 fl. oz. 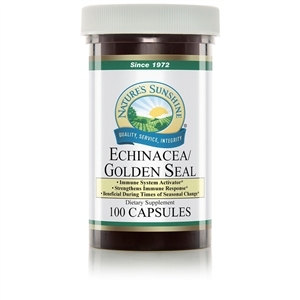 Green Ginger (Mugwort) & Wormseed Extract 4 fl. oz. Rice Bran Extract 4 fl. oz. Royal Jelly Extract 4 fl. oz. Sarsaparilla Extract 4 fl. oz. Scullcap Extract 4 fl. oz. Indian Sarsaparilla (Siberian Ginseng) Extract 4 fl. oz. SMF-B (Stress Maintenance Formula) 4 fl. oz. SM & W-S (STIMULANT FOR MEN & WOMEN SOLOMON) 4 fl. oz. T-W (Thyroid) 4 fl. oz. Three Bees Extract 4 fl. oz. TRQ-RH (Tranquility) - 4 oz. Valerian Root Extract 4 fl. oz. Black Walnut Extract (Hull) 4 fl. oz. Inkberry Extract 4 fl. oz. Irish Moss Extract 4 fl. oz. White Oak Bark Extract 4 fl. oz. Blessed Thistle Extract 4 fl. oz. Bugleweed Extract 4 fl. oz. CS-W (CIRCULATORY SYSTEM) 4 fl. oz. Formula Thirty-One Combination 4 fl. oz. Hawthorn Extract 4 fl. oz. He Shou Wu Extract 4 fl. oz. HT Combination (Heart Tonic Combination) 4 fl. oz. Lily of the Valley & Blessed Thistle 4 fl. oz. Motherwort Extract 4 fl. oz. OC-M (Oral Chelation) 4 fl. oz. Superb Wheat Grass Extract 4 fl. oz. Chlorella Extract 4 fl. oz. Dandelion Root Extract 4 fl. oz. PG-G (Pain, Gout, Joint pain) 4 fl. oz. Spikenard Extract 4 fl. oz. Thyme Extract 4 fl oz. Alfalfa Extract 4 fl. oz. Cilantro Extract 4 fl. oz. GF-G (Gladys' Formula -Arthritis) 4 fl. oz. ART-C (Arthritis Relief team) 4 Fl. oz. Peppermint Oil ONE fl. oz. Eucalyptus Oil 4 fl. oz. CURRENTLY UNAVAILABLE Five Oils 4 fl. oz. CURRENTLY UNAVAILABLE Oil of Cajeput 4 fl. oz. Peppermint Oil 4 fl. oz. Wintergreen Oil 4 fl. oz. A.C.S. (All Cells Salts) 4 fl. oz. Barberry Extract 4 fl. oz. Chickweed Extract 4 fl. oz. Hoodia Extract 4 fl. oz. Hoodia Combination 4 fl. oz. Nettle Extract 4 fl. oz. CURRENTLY UNAVAILABLE Spirulina Extract 4 fl. oz. WL-W (Weight Loss) 4 fl. oz. WL-S (Weight Loss) 4 fl. oz. Can-Sol (Candida Yeast) 4 fl. oz. Can-Sol Capsules- New formula 100 ct.
Burdock Extract 4 fl. oz. HNS-W (Hair, Nails, Skin) 4 fl. oz. HR-F (Hair-Ford) 4 fl. oz. Oat Straw Extract 4 fl. oz. Peach Leaf Extract 4 fl. oz. Quince Extract 4 fl. oz. Rosemary Extract 4 fl. oz. Sage Extract 4 fl. oz. Saw Palmetto Extract 4 fl. oz. Buckthorn Extract 4 fl. oz. Calendula Extract 4 fl. oz. Carrot Root Extract 4 fl. oz. Fenugreek Extract 4 fl. oz. Horsetail Extract 4 fl. oz. Mayapple Extract 4 fl. oz. Green Ginger (Formally Mugwort) Extract 4 fl. oz. Plantain Extract 4 fl. oz. CURRENTLY UNAVAILABLE Pleurisy Root Extract 4 fl. oz. RST-C (Repair Scar Tissue) 4 fl. oz. Sanicle Extract 4 fl. oz. Sassafras Extract 4 fl. oz. SC-W (SKIN CARE) 4 fl. oz. Spring Violet Extract 4 fl. oz. VVH-W (Varicose Veins and Hemorrhoids) 4 fl. oz. Whole Apricot Extract 4 fl. Yellow Dock Extract 4 fl. oz. Feverfew Extract 4 fl. oz. Herbal Adjustment 4 fl. oz. Wild Lettuce Extract 4 fl. oz. Wood Betony Extract 4 fl. oz. SH-G (Adrenal Stress, Seizures & Headaches) 4 fl. oz. Wild Lettuce & Wood Betony 4 fl. oz. Buchu Extract 4 fl. oz. False Unicorn Root Extract 4 fl. oz. P-W (Prostate) 4 fl. oz. Stone Root Extract 4 fl. oz. 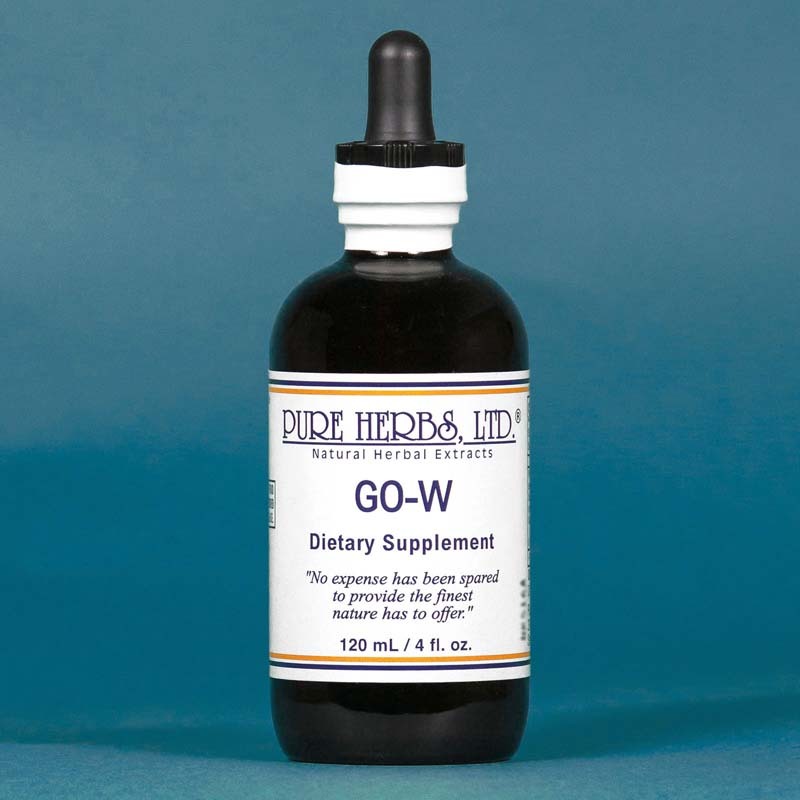 GO.-W - Helps to enhance energy level. * (Bitter Orange, Bee Pollen, Eyebright, Licorice Root, Gentian, Prickly Ash, Capsicum). Below is about historical observations and historical data relating to herbs. This document is not intended to be a substitute for medical advice by license physicians. All readers should consult a physician regularly in all matters related to medical problems. This includes the diagnoses and treatment of disease and all other physical and mental conditions. GO.-W(Go! Herbal Stimulant) - There are times when an individual must rely on a stimulant to fulfill their commitments and duties. The trouble with most stimulants, such as coffee and tea, is they operate on the "fly now and pay later" principle. In other words, they act like a whip for a tired horse. They burn your reserve nutrients to squeeze out the last ounce of energy and then the crash comes. This leaves you feeling empty and drained inside unless you practice heavy supplementation of vitamins and minerals. The concept here, for a good stimulant, would be to utilize the principle of "pay as you go". And that is what GO.-W does. A generous provision of energy and nutrients run side by side. Liquid Bee Pollen and Licorice Root are instant energy for the adrenal glands (glands, one on top of each kidney, that produce numerous anti-stress compounds) which balance out the boost provided by the herb Bitter Orange. Prickly Ash sweeps away fatigue products such as acids and carbon dioxide, and Capsicum provides the spark to drive oxygen to the brain and vital organs carried by the herb Eyebright. A person is refreshed and ready to go. When you have "miles to go and promises to keep before you rest this night" there is help in the form of GO.-W. COMBINATION:Bitter Orange, Bee Pollen, Eyebright, Licorice Root, Gentian, Prickly Ash, Capsicum. DOSE:30 to 40 drops, as needed. Please SelectdōTERRANature's Sunshi..Pure Herbs, LTD..Western Botanic..